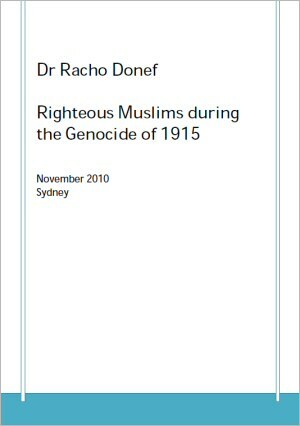 by Dr. Racho Donef — Sydney, Australia. November, 2010. Undoubtedly there was mass participation in the genocide committed during the First World War by the Ottoman Government, led by the “İttihat ve Terakki Cemiyeti” (Society for Union and Progress) and directed by a group of leaders known as the Young Turks. Ordinary Muslims participated in the loot and tacitly or actively supported the carnage. However, while there was mass participation, it has to be remembered that many ordinary Muslims helped Christians and many administrators refused to follow orders. Mass participation does not necessarily signify universal participation. Many Muslim groups and individuals including army officers and high ranking public officials either refused to participate, refused to carry out orders and/or assisted any Christians to escape certain death. Most sources on the genocide readily identify Turks, Kurds, Lazes and Circassians as participants to the massacres. To this the Persians who attacked Armenians and Assyrians in Salmas and Ourmiah should be added. But even this list is not definitive. An Armenian survivor I interviewed, Mr Manuel Kerkesharian, told me that his convoy was attacked by Chechens on the way to Aleppo and in fact he was angrier with Chechens than Turks.1 The word in Turkish for Chechen is the same as in English (Çeçen), while Circassian is Çerkez. Because of the similarity of the sounds and the absence – to my knowledge at the time - of any documents identifying Chechens in connection to the massacres, I assumed Mr Kerkesharian meant Circassians. Eventually I came across to a paper by Ara Sarafian, in which he includes a testimony of an Assyrian Chaldean clergyman, who said that “[s]ome Chechens near Ras-ul-ain attacked convoys of Armenian refuges”2. Indeed, Mr Kerkesharian was right to name the Chechens in his testimony. 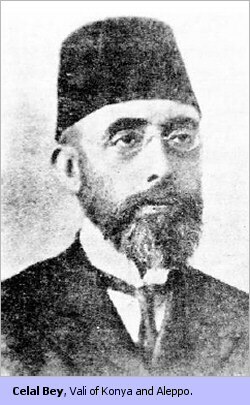 Ali Fuat Ender, Cemal Paşa’s19 chief of staff during the period when he was the Commander of the Fourth Army, wrote that “a telegram arrived from the Provincial Administration of Aleppo: ‘Today the bandits Halil and [Çerkez] Ahmet Beys visited me, they told me that the business of the killings in Diyarbakır were completed and now they came to do the same in Syria. I arrested them.” Cemal Paşa ordered the Vali of Aleppo to free Halil and Ahmet.20 Halil and Çerkez Ahmet had just brutally murdered the Armenian deputies Zöhrab and Vartkes.21 The Vali who arrested the two murderers was the aforementioned Celal Bey who was first Vali of Aleppo. 1) When I was in Aleppo I saw with my own eyes Muslim helping the Armenians who were deported there. 2) Some farm owners came to me and told me that they wanted to house Armenians in their properties. 3) Both in Aleppo and in Konya, many members of the ulema23 and the notables thanked me many times for my treatment of the Armenians and that protecting them was required by the Sharia. 4) Both in Konya and in Aleppo, I have not seen or heard of any Turk usurping Armenian property. 5) Among the Turks and the Muslims I met no one who supported these murders and who did not find them shameful. 6) After I returned from Konya many of my acquaintances congratulated me and that they told me it was more honourable to leave my posting. A number of deserters [from the army] and comitadjis from Siverek and Viranşehir found refuge in the district of Ras-ul-Ain and the kaymakam is protecting them and so much so that in this district […] the Diyarbekir Province was informed that he [the kaymakam] arrested the gendarme who came to pursue about two hundred deserters. Whilst it is necessary to pursue and punish these people wherever they may be, the Kaymakam is unable to comprehend this obligation and, on the contrary, favours [them], without the existence of a compelling responsibility. Investigate the matter immediately and inform of its findings and to crush and punish the deserters and deliver the information. The fact that there were administrators who did not follow orders, the fact that there were ordinary people who did not join in the massacres and did not partake in the loot that it ensued, should have burdened the conscience even more of those who did. Yet, in the official narrative many are treated as heroes, for example Topal Osman (Osman the Lame), or even victims, as can be seen in the case of those high ranking administrators and officers, who were exiled to Malta by the British, for crimes committed during the War (Malta sürgünleri). Talât Pasha’s name is given to a thoroughfare in Ankara and Turkish schools are named after him. In 1996 Enver Pasha’s remains were brought from Tajikistan, 74 years after his death and were laid next to Talât Pasha and other leaders from the Union and Progress in the Hill of Liberty Memorial (Hürriyet-i Abide Tepesi) in Istanbul. On 4 August 1996 in the ceremony Süleyman Demirel, ministers and extreme nationalists form Ülkü Ocakları (Idealist Hearth) took part. Thus, any attempt to disassociate the Republic from the Union and Progress and its crimes would be disingenuous. Racho Donef, ‘Three survivors of the Armenian Genocide’, International Network on Holocaust and Genocide, Vol. 14, No. 1, 1999, p. 8. Ara Sarafian ‘The Disasters of Mardin during the Persecutions of the Christians, Especially the Armenians, 1915’, Haigazian Armenological Review, Vol. 18, Beyrouth, 1998, p. 266. Muslim immigrants from the Balkans and elsewhere. Net, 4 June 2008 at https://www.panarmenian.net/eng/world/news/26120/ accessed on 13 October 2010. Taner Akçam, İnsan Hakları ve Ermeni Sorunu, İmge Kitabevi, İstanbul, 1999, pp. 11-15. Donef, op.cit., 1999, p. 10. Burçin Gerçek, ‘Celal Bey ve diğerleri’, Radikal, 26 February 2006. Sefa Kaplan, ‘Tehcir sırasında Ermeni çocuklar kurtaran da var’, Hürriyet, 11 May 2005. Vali, Governor of a province (Vilayet). Mutasarrıf, governor in charge of a mutasarrifate/district. Engin Ardıç, ‘Deli Mustafa’, Sabah, 26 April 2010. Ayhan Aktar, Türk Milliyetçiliği ve Ekonomik Dönüşüm, cited in Gökçen B. Dinç, ‘Müslümanlar Ermenileri Anlatıyor’, Yeni Aktüel, 4 October 2007. Tuncay Opçin, ‘Tehcirde Kol Kanat Geren Türkler, Yeni Aktüel, 29 June 2008. 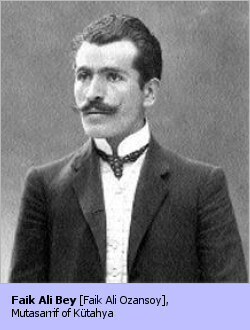 Cemal Pasha was one of the members of the triumvirate that governed Union and Progress; the other two being Talât and Enver Pashas. Racho Donef, Ahmet Refik: Two Committees, Two massacres, Firodyl Institute, London, 2006, p. 40. These extracts are taken by the article produced by Rober Kopta, “Türkler ve Müslümanlar, bu cinayetlerden dolayı kan ağlıyor”, Agos, 30 July 2010. Doctors of Muslim Theology; learned men. Kaymakam: governor of a district. 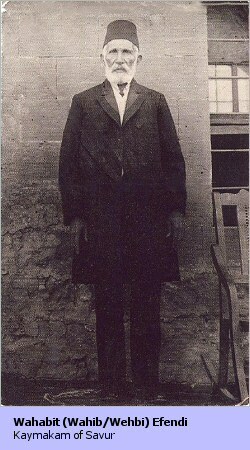 Abidin Nesimi, Yılların içinden, Gözlem yayınları, İstanbul, 1977, p. 46; Abidin Nesimi was the son of the Kaymakam of Lice. BOA [Ottoman Archives], DH. ŞFR. 15. Marie-Dominique Berrè, ‘Massacres de Mardin’, 1918, p. 1, Centre du Saulchoir [Dominican Archives], Paris: III, K001 – Mossul. ‘Les Catherinettes de Mésopotamie’, Éditions des “Missions Dominicaines”, Paris, 1930, p. 19. ‘Recit detaille de la mort des Peres Leonard et Thoma’, private copy, n.d., p. 3. Gaunt D., J Bet-Şawoce and Donef R., Massacres, Resistance, Protectors: Muslim Christian Relations in Eastern Anatolia during World War I, Gorgias Press, Piscataway, 2006, p. 194. 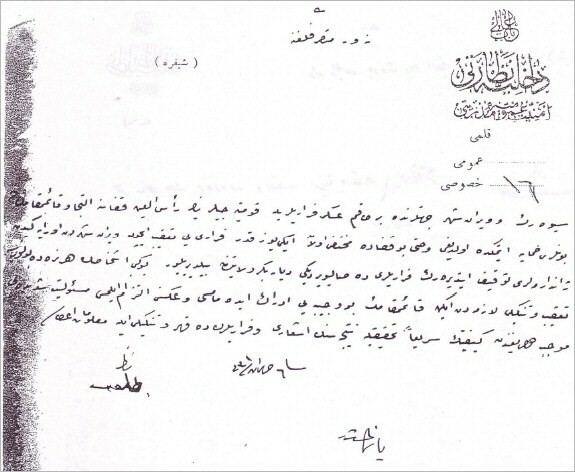 BOA [Prime Ministerial Ottoman Archives], DH. ŞFR 1333 Ş 6 54/65. Assyrians in Turkey: Disappearance of a Culture?